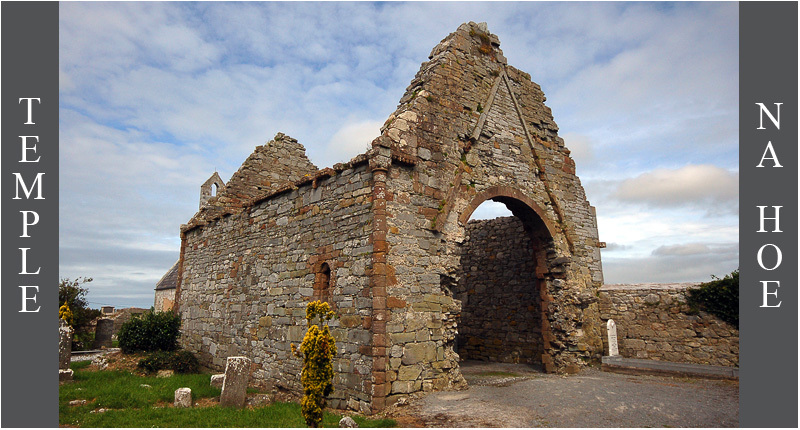 Located to the northwest of Ardfert Cathedral is this ruined 12th century church whose chancel has now disappeared. 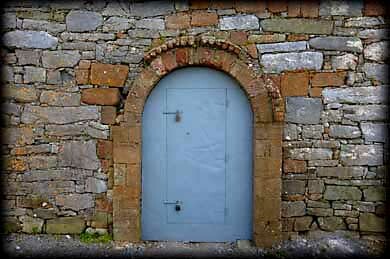 At the eastern gable is a Romanesque chancel arch of two orders with chevron ornamentation and remnants of a hood. It has decorated columns at each corner, with heads and bird motifs on the capitals. A cornice decorated with spiral bosses once supported a roof. 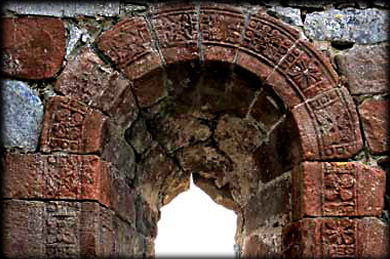 Two-thirds of the interior western end of the structure was blocked from exploration, but a round-headed south window was accessible and the surrounding stonework has a floral motif. It is well worth a return visit to this wonderful site to see the remainder of the interior after restoration has been completed. Situated: Very Easy. Situated in the centre of Adfert to the west of Ardfert Cathedral. Discovery Map 71: Q 7851 2119. Last visit July 2011.